Icon Gone: The Battle for Whistler’s Soul! It’s no secret. You hear it all the time in other B.C. ski towns, but it’s a common criticism around these parts too. Whistler has no soul. 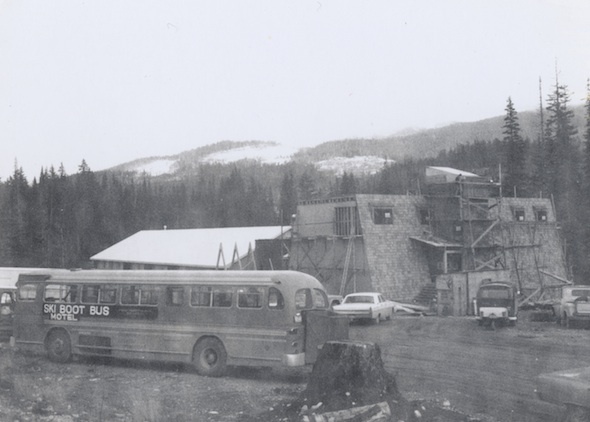 Whether or not you agree, Whistler has clearly had a relatively short, though turbulent history. As a result you will find widely varying opinions on topics such as our shared heritage, our sense of community, our cultural icons. 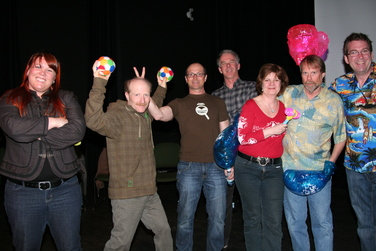 Such concerns lie at the heart of the Whistler Museum’s annual community celebration, Icon Gone, which returns for round five this Sunday at the GLC. The format is simple: eight prominent Whistlerites get up on stage to make the case for a Whistler “Icon” about which they are especially passionate. Using a competitive format, with liberal helpings of feisty smack-talk and audience participation, a champion is crowned. The event’s initial inspiration came in 2007 following the loss of a few Whistler icons, most notably our beloved Boot Pub. Incidentally, the Boot’s iconic status will be defended at this year’s Icon Gone by local performing arts Renaissance woman Angie Nolan, with assistance from Village Host head honcho Cathie Coyle. We all miss the boot, but such reminiscence begs the question, are Whistler’s icons all gone? Has Whistler sold out? Or, to paraphrase Mark Twain, have rumours of Whistler’s demise been greatly exaggerated? No matter your opinion, this year’s Icon Gone line-up has something for you. There will be something for you cynics, for whom reveling in the nostalgia of Whistler’s “Golden Era” (however defined) serves as a cathartic rejection of this would-be wonderland that has apparently lost its way. If you value the role that sharing and preserving stories play in building our sense of community, then Hi Brooks’ heartfelt dedication to the loved one’s we have all lost to the mountains is sure to pull at your heartstrings. 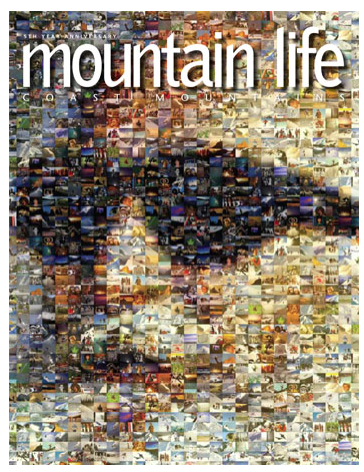 Needing an “Iconic” cover for their 5th anniversary issue, Mountain Life Mag designed this cool photo collage of Rabbit. If you feel that beyond the mountains, the snow, the facilities, and the hype, it’s the characters that make this place special, then you can’t miss Jessica “Pika” Turner tribute to her father “Rabbit” Whistler’s quintessential ski bum, or self-described “political hack” Jackson Crompton’s musical homage to Jeanie the Bear. Cherish Whistler’s contrarian nature? Kevin Damaskie returns on behalf of the iconoclastic Whistler Answer. Remember Stephen Vogler’s 2007 Icon Gone-winning story about the “secret” meaning of the “G” in GLC? (hint: it was gravity) Well realtor-extraordinaire Stephanie Sloan is here to set the record straight with the real meaning, and the story is just as cool. If you’re looking for a surprise, Chris Quinlan has chosen to play his hand close to his chest. His Icon remains top secret. If you need a break from all the bickering in local newspapers, facebook pages, and coffee shops for an evening, and simply want to have a laugh at the expense of our ridiculous community (it is after all, important to stop for a laugh when things get too serious), then Jamie Bond has your fix. Or if you’re simply looking to be reminded of what makes this town great, you’ll get eight compelling examples presented by our passionate, outspoken competitors. Tickets can be purchased in person at the Whistler Museum (4333 Main Street) or by calling 604-932-2019. Brought to you by the generous support of the Province of B.C., The Garibaldi Lifts Company, Whistler Foto Source, Araxi, and Sushi Village. This entry was posted in Beyond Skiing, Characters, Inside History, News & Events. Bookmark the permalink.